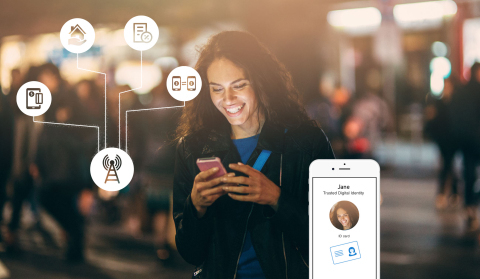 Gemalto announces today its Trusted Digital Identity Services Platform, which orchestrates everything needed by mobile operators to digitalize customer enrollment, including the capture, verification and authentication of customer credentials and biometrics. Drawing on Gemalto’s in-depth experience and expertise in these fields, as well as complementary services from trusted partners worldwide, the platform enables streamlined customer enrollment, both in-store and online. With Gemalto Trusted Digital Identity Services Platform, mobile network operators (MNOs) can address challenges such as compliance with anti-fraud regulations as well as the need to implement far more efficient processes for customer enrollment. Solutions can be tailored precisely to the specific requirements of each individual MNO, and its subscribers. The first stage is to capture the customer’s personal details, using supporting evidence from a diversity of ID documents or other types of customer credentials, along with biometrics, including fingerprints and facial capture with liveness detection. Relevant personal details are extracted automatically from the customer’s documents, speeding the process of form filling and minimizing any risk of errors. All the captured information is verified in real time using Gemalto Trusted Digital Identity Services Platform and, if required, third party checks can also be integrated. With the customer’s details authenticated, the enrollment is completed with the creation of a Trusted Digital Identity that provides customers with seamless and secure access to new services. This ‘create once, use many times’ model means that MNOs can continue to improve customer experience.